This is the first time I went fishing. 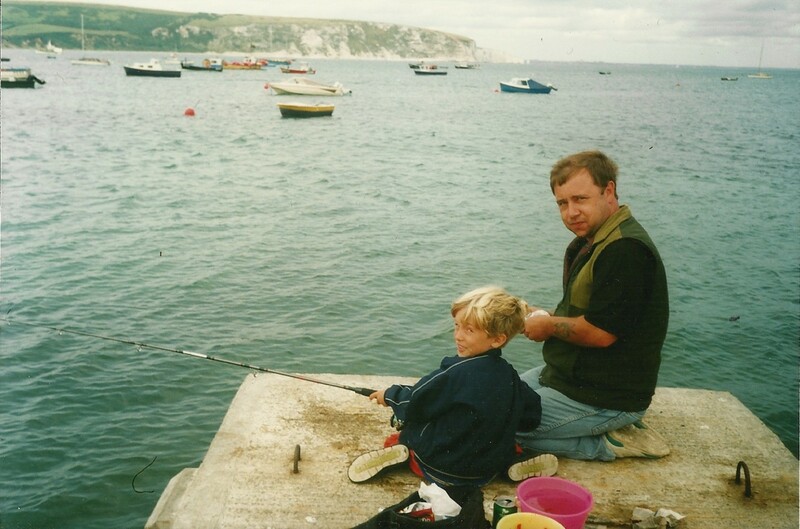 We were on holiday in Swanage, Dorset at the time, in our caravan, and I guess my Dad wanted to take me out to catch a fish or two. I can’t remember the exact details, for obvious reasons that can be summed up by the fact that I’m wearing jelly shoes and still have a head of bright blonde hair. However, I do have some vague memories of that day. Going into the tackle shop to buy the gear (an incredible Aladdin’s cave), the rag worms that were wrapped in newspaper (disgusting) and lastly that I couldn’t quite get down the concept of reeling the fish in without my Dad having to remind me every single time. I preferred trying to launch the fish upwards. I think I probably caught around 4 or 5 wrasse. But importantly, that weighty fibreglass rod & reel went on to live in our garage where I would rediscover it during the school summer holidays some years later.